Conflicts exist everywhere: at home, at school and at work! No exemptions! However, just as the problems vary so do the ways that people may deal with them. Check out the interactive lesson below on how you can teach your students all about the various styles for handling conflict in both their personal and professional lives! Play the game “Kisses” which can be found in the Leadership Lessons: Lessons to Lead By resource book. Divide the class into two equal teams. Each team should choose a representative…representatives from both teams should be approximately the same physical size/strength. The representatives will arm wrestle. Each time the opposing player’s wrist touches the table, the rep wins a “Hershey Kiss” for their team. The object is to win a kiss for each team member. Let the teams compete for for 30-45 seconds and then ask which team won. Discuss that neither team won if they didn’t win enough kisses for each member of their team. Have each group meet for 1-2 minutes and strategize to come up with a way to achieve the goal. Repeat the competition. The winning strategy is to have the teams cooperate and alternately allow each team to win until enough candy has been won for all members on both teams. The lesson is to keep sight of the goal of the competition, not to see who was the strongest. By working together, both groups win! There are a variety of ways that people can deal with or resolve conflict. First, define conflict in your own words. Have students share their own definitions and then explain that conflict can be defined as a noun or verb and the definition can be found here. What characteristics, qualities and personality does your animal have? Based on the characteristics, qualities and personality, how do you think your animal would resolve conflict? As a group, explain what you think your label/style means. Share how animals match up to each of the conflict styles. Cut apart the descriptions for each of the conflict styles found at the end of the assessment) and place around the room. Students circulate and write in their foldable notes using this TPT Freebie. Discuss and explain to students that there are pros/cons to each style and that one is not necessarily better than another. The style used depends on the conflict/situation. With that being said, we each have a conflict style that we tend to “go to” and use. 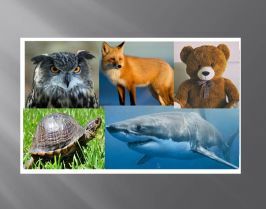 Ask students to predict which animal they believe they are when facing conflict. Assign the assessment found below in the attachments for students to take and then score and complete the follow-up questions. Discuss the results and view this 5 Conflict Management Styles YouTube clip to sum the styles up. As an exit slip, students can share if their prediction was correct and if they agree with the results with a brief explanation as to why or why not. Go over the answers and review by viewing the YouTube clip of visual examples of the 5 conflict styles. Individually or with a partner, ask students to complete the critical thinking activity titled “What Conflict Style am I, said the Proverb?” and either go over in class or collect for a grade depending on your time. Finally, assign the Conflict Scenarios Project by placing students back in their animal groups. Give each group one of the scenarios from the “Building Tomorrow’s Leaders Resource” (found below) and have them solve the conflict the way that their style would. Students are to create a skit illustrating the scenario and their assigned style. Each group will present their skit to the whole class. Note: Just to clarify, you are giving all the groups the same scenario to create a skit for based on their conflict style. I had students keep track of what was effective or ineffective with each skit and conflict style so they could refer back to it. As an exit activity, ask each student to create a Flipgrid response (student tutorial) sharing their opinion of their groups’ conflict solution to the assigned scenario. Briefly explain whether you believed your groups’ assigned style was the best way to solve the conflict/problem. If you believe it was, explain why. If you believe another style was more effective, explain which one and why. If you’re not 1:1, the writing prompt can stand alone…it’s just done on paper instead. Conclude the lesson by sharing that no one conflict style is better than another. However, understanding each style that might be brought to the table during a problem or conflict can help us understand and deal with conflict more effectively. I've only done day 1 of this lesson and I love it. It's easily customizable for my Mentorship class which is very very small. They enjoyed figuring out what they were and thought deeply about how it affects their relationships. We also talked about how they will encounter all 5 styles in the workplace and they will have to learn how other people operate in order to have successful/productive conflict. Teachers, to help your students be more comfortable sharing, i recommend you take the assessment yourself and share it with the kids. Glad to hear the lesson is going well! !